B.B. King: Heinrich Klaffs/Wikimedia Commons. See the original article → from the December 2016 VG issue with more on the top 30 players (with videos on each artist!). 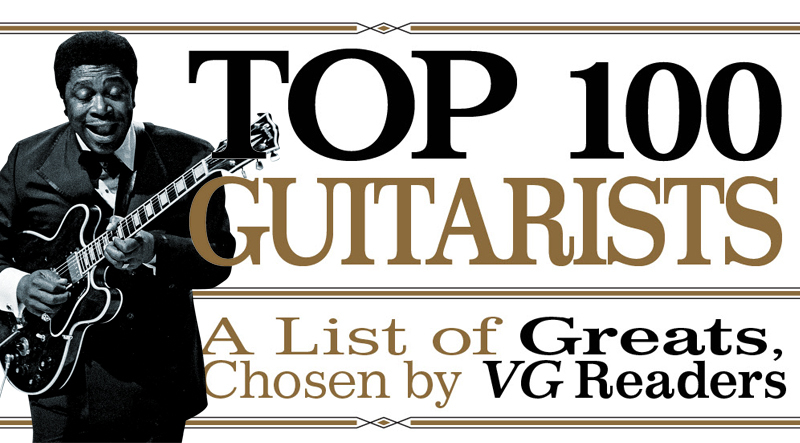 To help mark its 30th year of publication, VG asked readers to submit a list of their five favorite guitarists via written ballots and online. We tabulated the votes and here offer up the top 100 vote-getters in order of overall popularity. 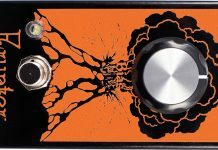 It’s easy to argue that amongst the throngs of high-profile players who ever grabbed a solidbody and plugged into a big amp, Hendrix simply is the best. Why? Raw ability, technique, experimentation, combined with an obvious affinity for pushing the form and playing beyond boundaries. Though his life ended as his career was still on an upswing, the years since have seen him become arguably the most influential guitarist to have ever put pick to string. Those who’ve done well following in Hendrix’s footsteps – players like Joe Satriani – readily sing high praise for him. 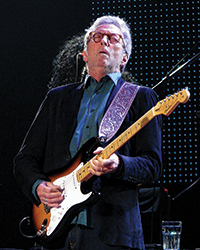 Eric Clapton: Steve Proctor/Wikimedia Commons. The sole person inducted to the Rock and Roll Hall of Fame three times did so only with help from the guitar. The masses know him best for “Tears In Heaven,” from his 1991 Unplugged album, but the VG faithful know him as the guy who emerged in the mid 1960s with the first version of the Yardbirds, “graduated” from its pop leanings to undertake serious blues with John Mayall, explored new boundaries of rock/fusion/improvisation with Cream, purposely receded to side man role with Blind Faith and Delaney & Bonnie, dipped his toes in “supergroup” waters with Derek and the Dominos, then re-tooled for a solo career. Fans and followers enjoy a debate over which phase included his best playing and/or guitar tones, but all have been supremely influential, constantly and consistently referenced by three generations of players who’ve followed. More than any other player, EC’s evolving tastes in guitars helped shape his identity over time. As a young man in the Yardbirds, he was unsettled, employing a Fender’s Telecaster and Jazzmaster models, a Gibson ES-335, and a Gretsch 6120. With Mayall, he was loyal to a 1960 Gibson Les Paul Standard. In Cream, he played the Standard until it was stolen, then switched to the famous SG “Fool” followed by a Firebird and the 335. By late ’69, he was dabbling with Stratocasters, and the following year used parts from a handful of them to create Blackie and Brownie – primary instruments through his early solo years. The ’80s saw him adopt modern versions (with Fender offering a signature model beginning in ’88), his acoustic work in the early ’90s involved mostly a Martin 000 (from which Martin also derived a signature model), and for his blues-revival period of the mid ’90s employed many guitars, most notably two vintage 335s. Almost as famously, Clapton has sold many of his best-known guitars to raise millions of dollars for the Crossroads Center rehabilitation facility. 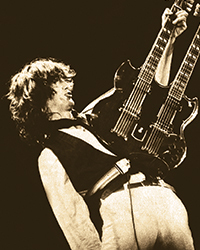 Jimmy Page: Andrew Smith/Wikimedia Commons. Inspired by Elvis Presley records and the guitar licks of Scotty Moore and James Burton, he joined neighborhood kids playing skiffle before being recruited (at age 15) by singer Neil Christian to join his band, the Crusaders. Recurring mononucleosis forced him away from touring, so he enrolled in art school. While a student, he frequented London’s Marquee Club, guitar in-hand, where jams led to extensive session work for Decca, Columbia, and Immediate Records. For years, he played as many as 15 sessions per week and contributed to songs by The Who, John Mayall, The Kinks, Jet Harris, Nico, Jackie DeShannon, and many others; lore surrounding his work at the time goes that he played on at least half of the pop songs released in the U.K. from 1963 to ’65, some say perhaps 90 percent. In 1966, Page jumped aboard the Yardbirds after the departure of Paul Samwell-Smith, and guided its drift to a heavy-blues sound, after which it dissolved and he gathered the players that would become Led Zeppelin. In that band, Page helped craft the era’s most popular hard rock, along the way devising several of its most influential licks, songs, solos, and albums. His style, influenced by American blues and folk, led to Zeppelin creating a catalog that mixed those forms and influenced players ranging from Johnny Ramone to Brian May to Steve Vai. Jeff Beck: Chris Hakkens/Wikimedia Commons. From his first days with guitar in-hand, Jeff Beck began to mold an unparalleled style. Influenced by Les Paul’s “How High the Moon,” along with Steve Cropper on Stax songs, Cliff Gallup with Gene Vincent, Chet Atkins, and B.B. King, he immediately displayed a penchant for playing a variety of styles – and restlessness, as he rolled through several bands including the Yardbirds. Beck’s 1971 Jeff Beck Group album, Rough and Ready, featured six (of its seven) songs written or co-written by Beck. The album ushered in a decade in which he would record six albums and relied on a bevy of backing players, most notably bassist Tim Bogert and drummer Carmine Appice (in Beck, Bogert, and Appice), followed by the jazzier Blow by Blow (’75, with Phil Chen on bass, Max Middleton on keys, and Richard Bailey on drums) and the entirely instrumental Wired (’76, with drummer Narada Michael Walden playing on half of the tracks, Wilbur Bascomb adding bass, and Jan Hammer contributing keys). Beck’s work in the ’80s centered on projects other than his own even as he released his first vocal-centered (and most-commercially-successful) album, 1985’s Flash. 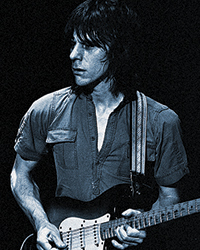 Most notably in terms of style, late in the decade he ditched the plectrum as a playing aid, relying instead on his fingers – the thumb for downstrokes, index, middle, and ring fingers for upstrokes – to manipulate his Strat’s Volume control and vibrato bar while using his left hand for microtonal bends. The end result is a sound like no other, and one he has deployed since, including recent touted performances. VG contributor Oscar Jordan counts himself amongst the throng of Beck disciples. “He’s the greatest living guitarist in part because he has continued to evolve beyond his contemporaries,” he said. Merging influences from his home state of Texas, he emerged with an energy and style that not only reinvigorated the blues genre but pushed it to mainstream in the early/mid 1980s – a time when even ZZ Top had made concessions to the sounds of the era. Unabashedly rendering riffs by immortals like Albert King, Lonnie Mack, Jimi Hendrix, Albert Collins, Freddie King, Wes Montgomery, and Grant Green, Vaughan’s name supplanted many of the decade’s heroes atop “favorites” list. 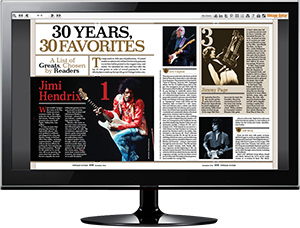 In the modern era, the blues-guitar side of music’s family tree is rooted in a handful of names including a triumvirate know as “the Kings” – Albert, Freddie, and B.B. The latter is remembered not only for putting polish on how the blues were presented and moving the genre from roadhouses and bars to fancy concert halls, but amongst players he’s admired for using a clean tone and minimalist style to convey energy, emotion, and feel like no other; in his prime, a B.B. King live show was a lesson in how to build anticipation and release it with perfect timing and execution. More than any of the other legends, King proved that the space between notes could be manipulated to great affect. After he passed peacefully in his sleep in May of 2015, accolades poured in from some of the history’s other most-influential players, including Steve Cropper, who recalled King’ story of giving a Gibson signature 355 Lucille guitar to the Pope. Emerging from Luttrell, Tennessee, in the Appalachian Mountains, he changed the way people perceived – and played –the guitar in popular music. After outgrowing (and realizing the shortcomings of) the Silvertone archtop he’d been given as a child, as a high-school student he become obsessed with learning to play like Merle Travis, George Barnes, and Django Reinhardt. His talents brought work on regional radio which by the late ’40s led to a connection with the Carter Sisters, whom he then backed for several years. A 1950 Carter Family appearance at the Grand Ole Opry helped Atkins helped bring session work backing with Hank Williams, Elvis Presley, and dozens of others, and more importantly helped Atkins expose his solo work to a broader audience. All told, he recorded 90 albums highlighting his innovative playing on personal arrangements of traditional/mountain songs and pop covers of many genres. As a producer (and head of the Nashville-based RCA Records), Atkins blended traditional country music and sounds with orchestral strings in pop arrangements that became known as the “Nashville Sound.” Though many country-music artists (and fans) tuned it out, the form proved lucrative and played a significant role as Nashville thrived in the ’60s. Supremely influential, in his later years Atkins focused on duets with some of the world’s finest guitarists, a few of whom he bestowed with his Certified Guitar Player (C.G.P.) designation. Honorees include Steve Wariner, Mark Knopfler, Jerry Reed, and Tommy Emmanuel. His guitar work has been one of the propelling factors in the decades-long success enjoyed by Pink Floyd. Long preferring a Strat, his most noted tones and solos were delivered with the help of his trusty ’79 model (with a ’62 neck) through a HiWatt amp. His solo on “Comfortably Numb” is not only a fan-favorite, but one of the all-time greats in rock. An underrated player with an understated style, his work lent critical substance to the sound of the Beatles, from its early hits that reintroduced American kids to the roots of pop music to the sophisticated arrangements and production of Sgt. Pepper and the “white album.” For his part, Harrinson’s solos mirror the band’s effort, growing from relatively simple to the makings of a “guitar hero” – fluent, inventive, and tasteful in both the lead and rhythm roles, always displaying an innate ability to be expressive while fitting perfectly into the context of the song. 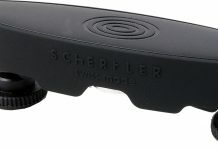 That growth and expansion continued in his post-Beatles playing, as well, with slide becoming something of a trademark. A constant on lists of players deemed influential by the biggest names in many genres, Django Reinhardt’s impact emanates from beyond his being a great player. Reinhardt’s accomplishments are even more impressive when you consider that the third and fourth fingers on his fretting hand were paralyzed after being severely burned, leaving only the index and middle fingers for soloing. He was a mere 19 years of age when his very-So-Cal band recorded its first album, including a solo captured by engineer Ted Templeman that spurred legions of guitarists (and wannabes) to listen much more closely. Throughout the band’s catalog, what they heard was a guy whose solos were fresh and virtuosic, rhythms deeply melodic and often deeply syncopated in the context of the song. 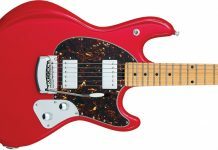 Also highly influential was his tone, sculpted using a stripped-down parts guitar with a humbucking pickup angled in the bridge, a modified vibrato, and accompanied by an old 100-watt Marshall head dialed back with a voltage regulator. He then added a touch of flanger, an MXR Phase 90, and a bit of delay courtesy of an old Echo-Plex tape device. Symbolic of the modern blues guitarist, he has a nose-to-the-grindstone attitude required to be a successful musician in the 21st century. He’s a record-label head, oversees the Keeping The Blues Alive Foundation, and in the last 13 years has released 15 solo albums. And his tools are all vintage! Immersed in music and influenced by uncles who picked guitars and mandos, his first concert experience included B.B. King. Not long after, he and younger brother Gregg joined a band that played YMCA dances before they graduated to other bands and bigger gigs. After a foray to the Los Angeles music scene largely failed, he returned south to play sessions at Muscle Shoals while also formulating a vision that led the Allman Brothers Band. Though he died after a motorcycle accident on October 29, 1971, his playing lent a gilded touch to the ABB’s music, especially live. Today, he is viewed as arguably the best rock player to ever don a slide – glass, steel, or otherwise – and is a key reason the Les Paul Standard is the most-collectible solidbody guitar. Emerging in a late-’70s scene dominated by music very unlike what he was making, the utterly fluid fingerpicked guitar lines first relayed to the masses via “Sultans of Swing” set Dire Straits far from the field. His amazing technique earned him not only adoration, but work with a mass of musical heavyweights ranging from Chet Atkins to Bob Dylan. A stylistic chameleon influenced by Chuck Berry and a handful of blues legends, he has concocted a litany of licks that define the music of the Rolling Stones, usually with the simplest of electric guitars – a Telecaster, often with just five strings! One of the most recited rock/blues players of the modern era, he made his mark bouncing between styles during notable stops with Skid Row, Thin Lizzy, and other groups. Guitarheads often cite his electric-blues ballads “Pariesienne Walkways” and “Still Got the Blues” as landmark pieces for the touch, tone, and feel he relayed through a Les Paul Standard. He emerged with a trio bearing his name and playing jazz, country, and blues on the radio with a style that mixed licks and chording sequences with fretting techniques that set him apart from contemporaries. 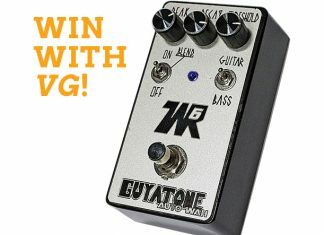 Those factors propelled him to a career recording and performing with his wife, Mary Ford, along the way earning status not only as a guitarist, but songwriter and inventor credited with helping create the concept of overdubbing as well as guitar-related sound effects like delay and phase-shift. 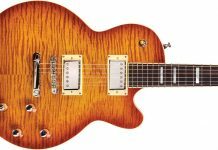 When Gibson finally awakened to the fact it needed to market a solidbody electric, president Ted McCarty worked with Paul on some of its design elements and asked him to endorse the instrument. Guitardom’s spiritual guru, he was heavily influenced by his violin-playing father, who set Carlos to the instrument when he just five years old. While transitioning to guitar shortly thereafter, the boy began to absorb blues, rock, jazz, pop, and Latin music. In 1967, he formed a band that played Woodstock before its first album was released, his playing by then informed by influences ranging from B.B. King and Muddy Waters to vocalists like Marvin Gaye and Johnny Mathis, but especially contemporaries Peter Green, Jimi Hendrix, and Jeff Beck. His music is always about melody and the song (even if few have lyrics), and despite being top-tier prolific, he refuses to let his playing stand in one spot. In recent years, he has dipped into “concept” recording, using an album’s worth of tracks to tell a story via melody, and employing unvarnished guitar tones along with a variety of techniques. In his 2012 feature interview, Steve Vai recalled their days as student and teacher. Though his riffage steered the hard-charging boogie rendered by ZZ Top starting in the early ’70s, his instinct for the visual helped propel the band to superstardom in the ’80s thanks to the girls, legs, cars, and guitars in the videos for “Gimme All Your Lovin’,” “Sharp Dressed Man” and others. Whether with a Strat, Telecaster, Les Paul, or some funky custom axe, he has plied some of the most known (and played) licks to ever flow out of Houston… or anywhere else. Grounded in the blues but informed by jazz, the Irish-born guitar hero was accomplished on acoustic, electric, and slide guitar as well as mandolin (along with a handful of non-stringed instruments). His very worn trademark late-’50s Strat was plugged into a vintage Fender, Vox, or occasional Marshall, with nothing but a cord connecting them. Renowned for their authenticity, his albums have sold in quantities numbering 30 million. More than any other, he shreds the common perception of “rock guitarist.” His music focuses on intricate, fluid melodies written to exploit his skill and ability to create sounds; he literally perceives life as a stream of notes floating past, at its best when he sits with a guitar (or keyboard) to capture them. 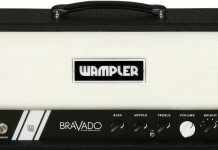 As a boy, his sister’s copy of Led Zeppelin II jump-started Vai’s transition from accordion to guitar, and as much as the influence of Page had him wanting a Les Paul, his experience began with a Teisco Del Rey followed by a Univox LP copy on which he began lessons from a local high-school kid named Joe Satriani. His tastes fittingly expanded from Page and Hendrix to Beck, Blackmore, and Brian May, along the way picking up other flavorings from Al DiMeola, Joe Pass, Danny Gatton, and many others as he lent his talents to acts ranging from Frank Zappa to David Lee Roth to Whitesnake before turning his focus to his solo work. The rise of Guns ’N Roses almost made perfect sense, even as it defied logic. Its 1987 debut LP, Appetite for Destruction, had a sound and attitude more akin to Rocks-era Aerosmith than 1987 “hair metal,” and an edge that had been missing from mainstream rock. Slash also didn’t fit the mold. A Les Paul player in the era of the Superstrat, his style was melodic in the heyday of the shredder, reflecting the influence of Perry, Townshend, Richards, and Davies in his chording, riffs, and progressions, but he also focused on complex guitar orchestrations. Beyond GnR, he soldiered through the ’90s in various projects that kept him fairly front-and-center even as tastes had shifted to alternative rock, and today remains vital and active. Arguably the greatest torchbearer to emerge among British blues guitarists in the ’60s, he unblinkingly followed in Clapton’s footsteps in John Mayall’s Bluesbreakers, then co-founded Fleetwood Mac. His style has never been flashy, but he is cited as an influence by Clapton and Page, praised by B.B. King, and his songs have been covered by artists ranging from Judas Priest to Carlos Santana and Tom Petty. 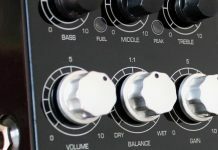 Arguably the world’s foremost contemporary purveyor of “Travis picking” – simultaneously playing bass lines, chords, melodies and harmonies – Emmanuel mixes musical forms mainstream and beyond in a virtually uncategorizable style influenced more by vocalists and keyboardists than fellow guitar players. Just six when he played guitar to accompany his mother’s lap-steel playing on a locally-produced record, young Tommy had a deep appreciation for music. Within a few years, he had become a devotee of Chet Atkins, and was further inspired at age 11, when his hero replied to his fan mail. After several years spent in bands in his home country of Australia, he emerged as a solo performer in the ’80s, and in the years since has at times played more than 300 shows annually while ever expanding his repertoire and affiliations with players of all ilks. One of heaviest of jazz heavyweights, he gained acclaim for his unique picking style, relying on his thumb while he created supremely melodic single-string runs. More known for his use of octaves to build dramatic solos, he has been preeminently influential, cited by players including George Benson, Kenny Burrell, Steve Howe, Pat Martino, Pat Metheny, Lee Ritenour, and even non-jazzers like Jimi Hendrix. The guiding force in legendary acts Deep Purple and Rainbow was gifted a guitar by his father on the condition he learn to “play properly,” and his style has always combined the effect of the classical-based lessons of his earliest years with the pop forms taught to him by British studio ace “Big” Jim Sullivan. Initially, Deep Purple music had a prog-rock bent, then (with the introduction of singer Ian Gillan) became more loose, with a blues-based jam sound highlighted by often-intense interplay between Blackmore and keyboardist Jon Lord. With Rainbow, Blackmore at first mingled classical and baroque with the band’s R&B/pop leanings before it leaned mainstream as videos and MTV became cultural tastemakers. Today, he eschews rock and roll, instead keying on making baroque-/renaissance-inspired folk music with his wife in their band, Blackmore’s Night. Informed by a non-linear background in music and with encouragement from his non-musical father, Joe Pass used a Harmony guitar to learn by ear while keying on parts played by instruments other than guitar – influenced as much by sax player Charlie Parker as Django Reinhardt. He began gigging at 14 and within a few years moved to New York City intent on making a living with his guitar, but became addicted to heroin. After spending several years in prison and two-plus in rehab, he emerged in 1962 as part of an album titled Sounds of Synanon, recorded by patients at the facility where he overcame addiction. The disc brought Pass critical recognition and helped launch a recording career with the Pacific Jazz label, for which he made several influential albums and backed many of the era’s top performers. Work came outside the label, backing big names, and he played on the most-popular TV talk shows. Later, he recorded with Duke Ellington, Dizzy Gillespie, Ella Fitzgerald, and Count Basie, among others. Pass died of liver cancer in May of 1994. His final works were a duet album with Roy Clark on which they worked up instrumental covers of Hank Williams songs, and a live performance at the famed Yoshi’s club in Oakland. Bringing more than his share of skill to one of rock’s most musically diverse outfits, Queen, his playing injected the band with influences ranging from ’50s roots-rock to ’60s guitar instrumentals to heavy elements inspired by Led Zeppelin. He famously employed rich chordal textures while exhibiting tremendous compositional skill whether running his home-made Red Special guitar through his AC30 or laying out impressive classical/Spanish-tinged solos as on “Who Needs You” from News of The World.